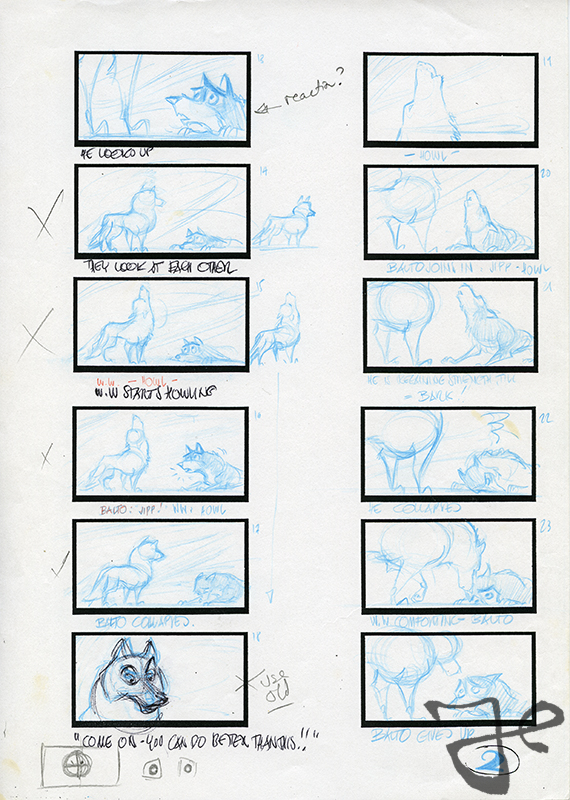 In 1993 Harald Siepermann worked on the movie Balto, the third animation feature from Steven Spielberg’s Amblimation studio. 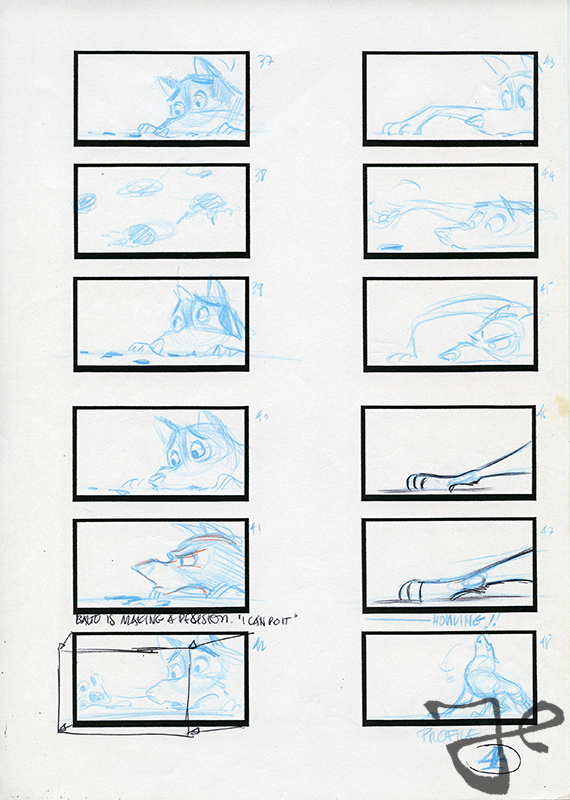 Balto was based on a true story about a husky dog named Balto who was the leader of a sledge dog team that, under difficult weather circumstances, had to transport medicine from Nenana, Alaska, to a little town called Nome, to save children from a deadly epidemic. 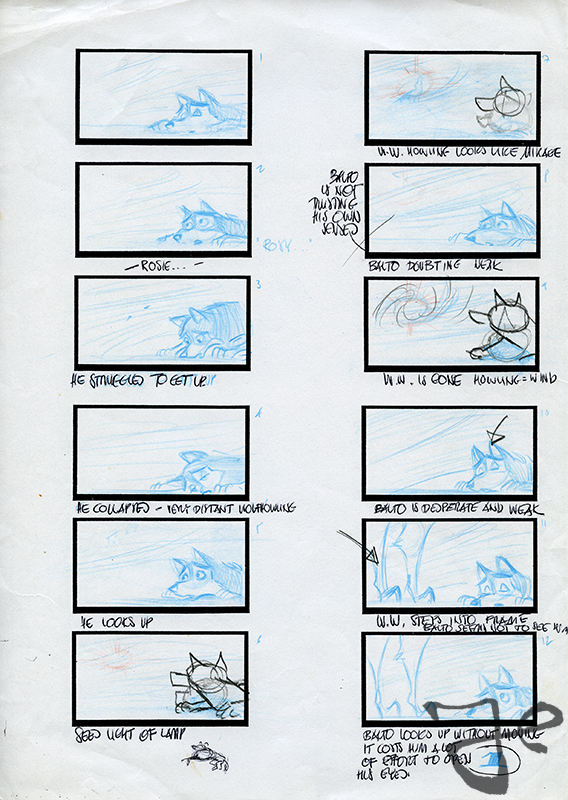 Once the production was launched the team was in need of additional storyboard artists. 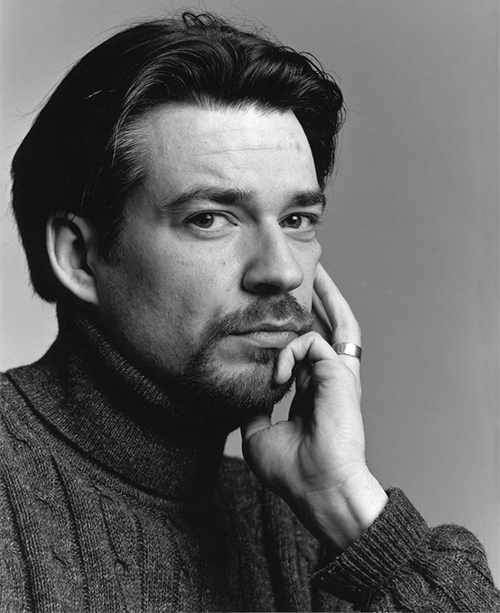 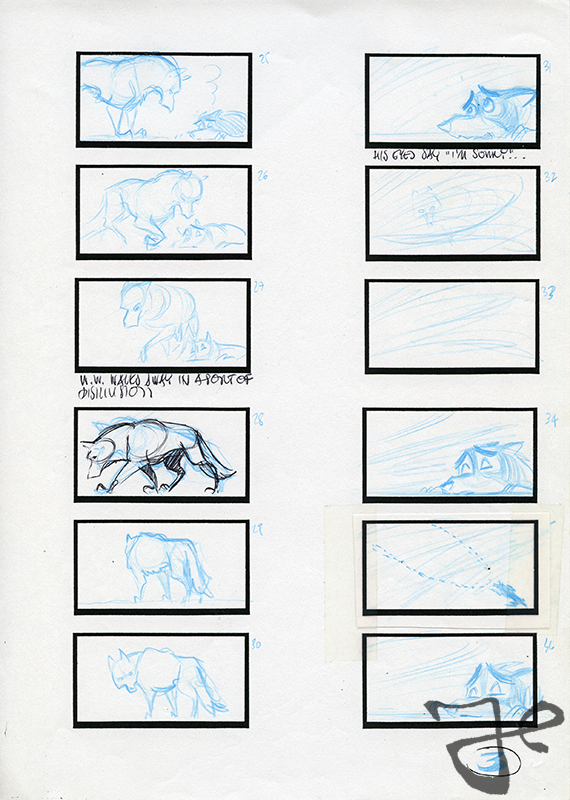 Hans Bacher, who was the Production Designer on Balto, recommended Harald Siepermann to the producers. 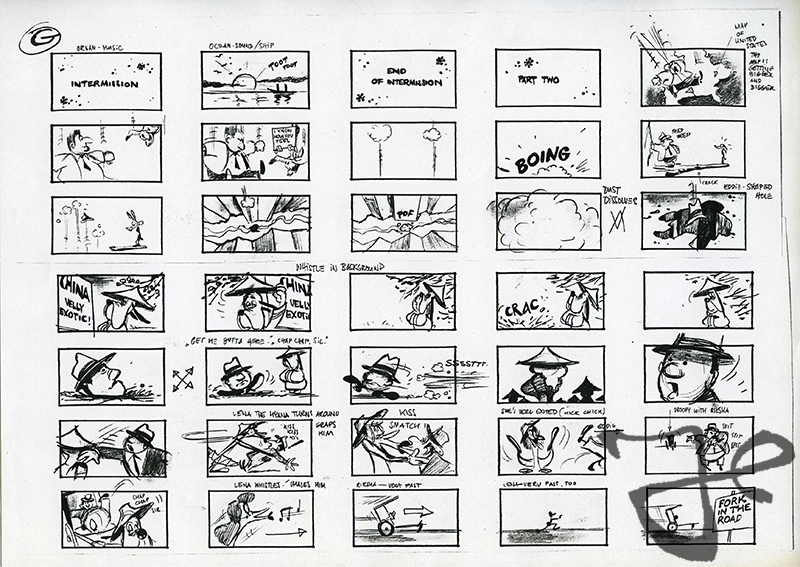 While Siepermann is more known for his character designs, he also had a long resume as storyboard artist through his work for his Mad T Party company, his work on the duck Alfred J. Kwak, and on the Walt Disney/Steven Spielberg picture Who Framed Roger Rabbit. 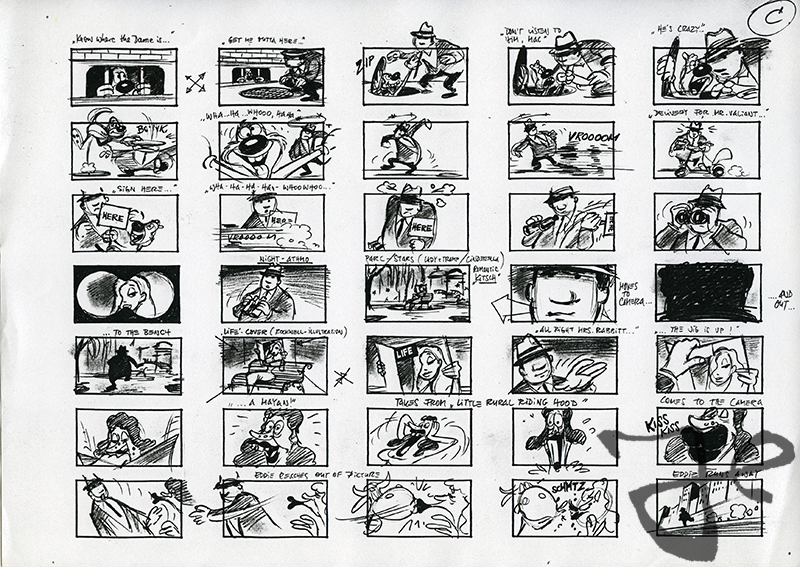 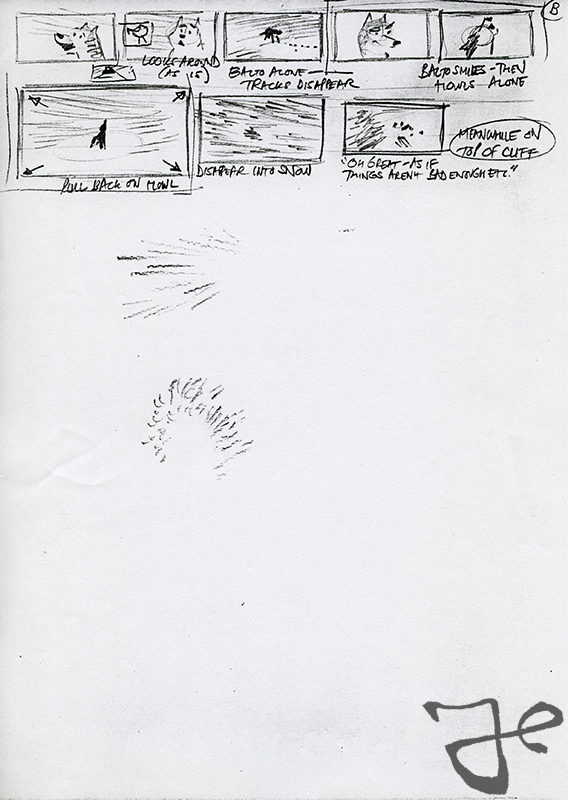 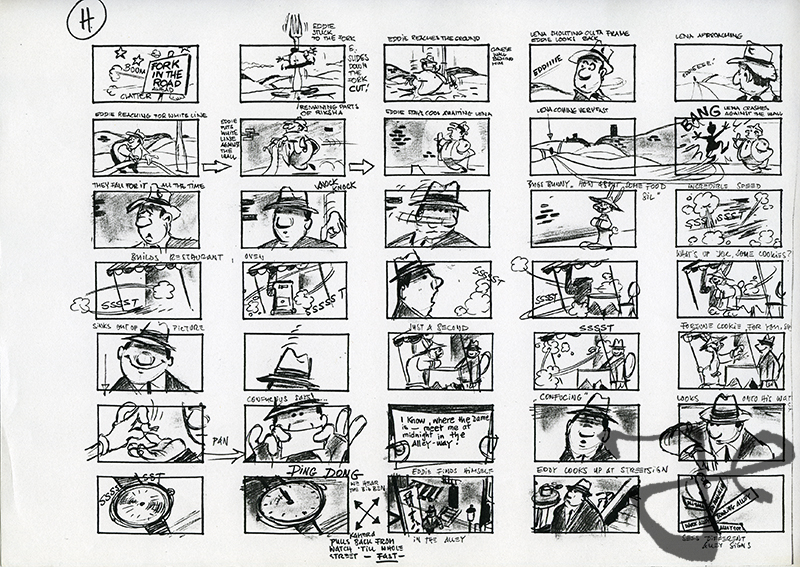 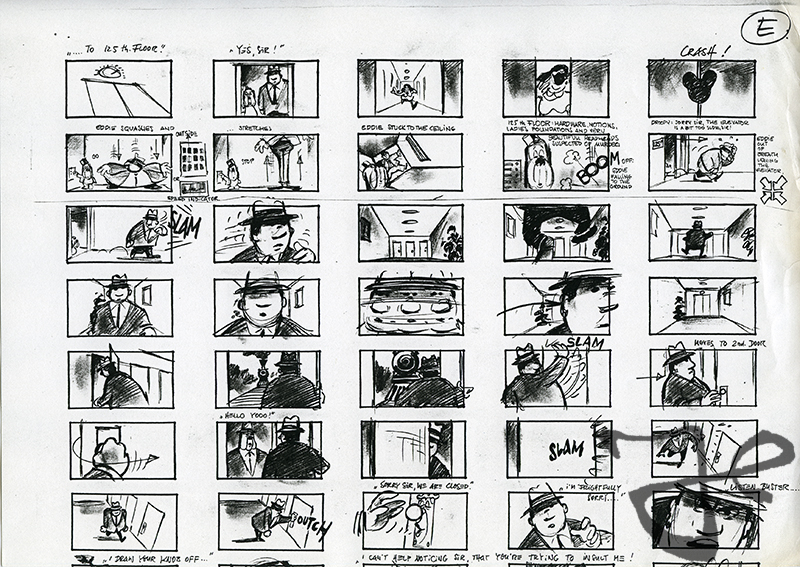 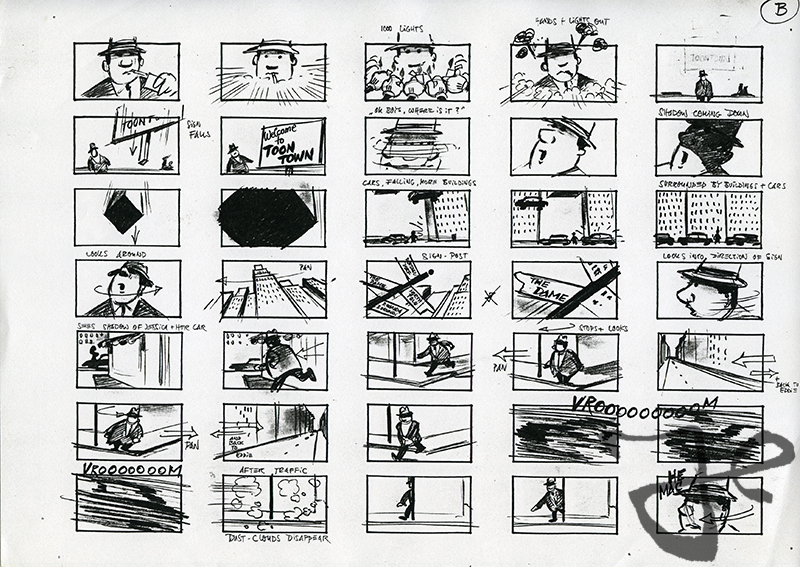 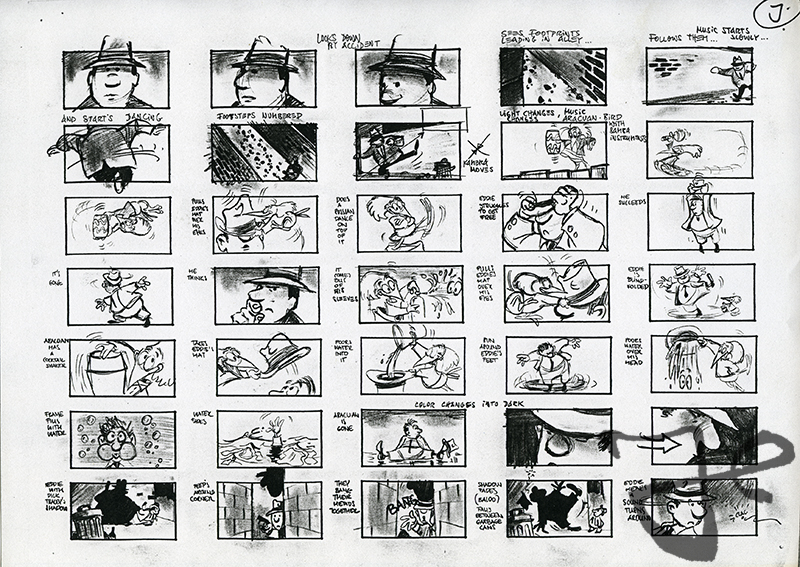 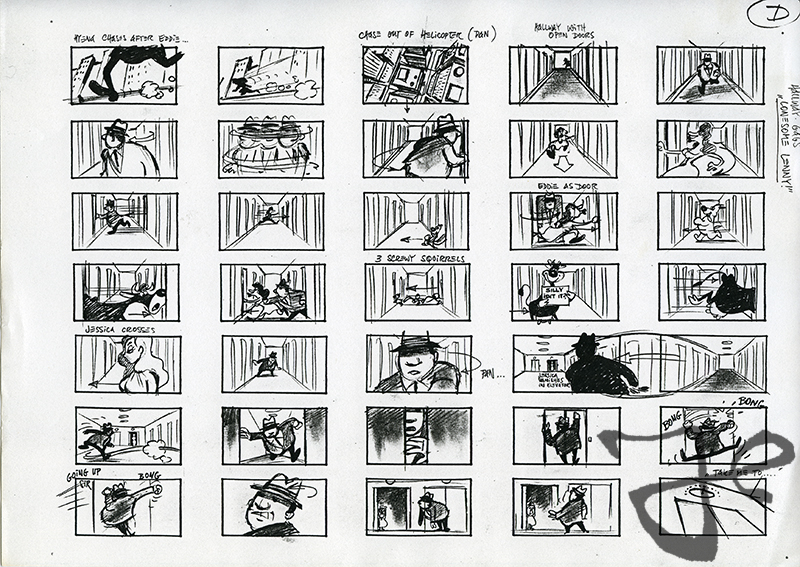 In August 1993 Siepermann went to the Amblimation studio that was located in London, where he worked until the end of the year on the visualization of the script into a storyboard. 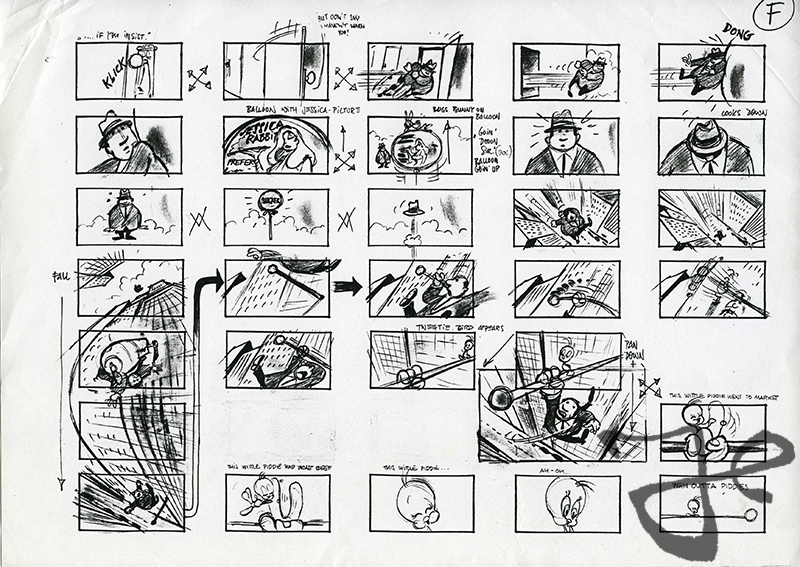 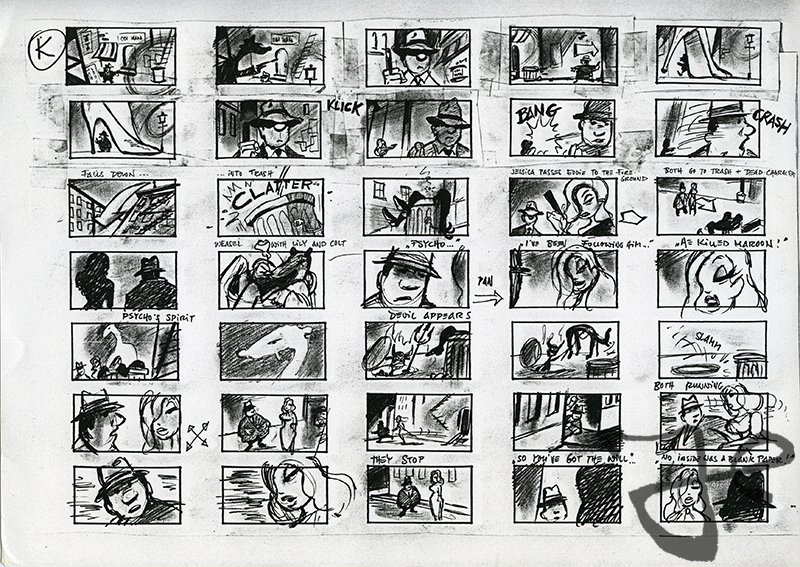 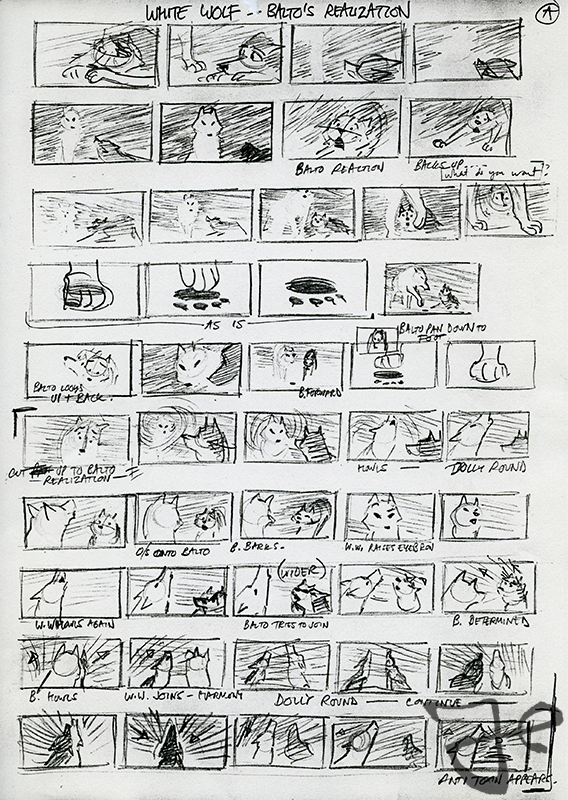 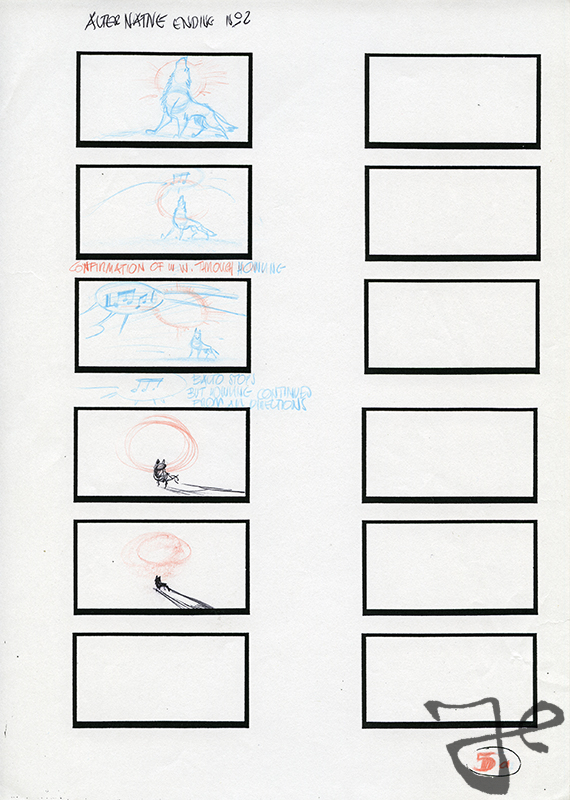 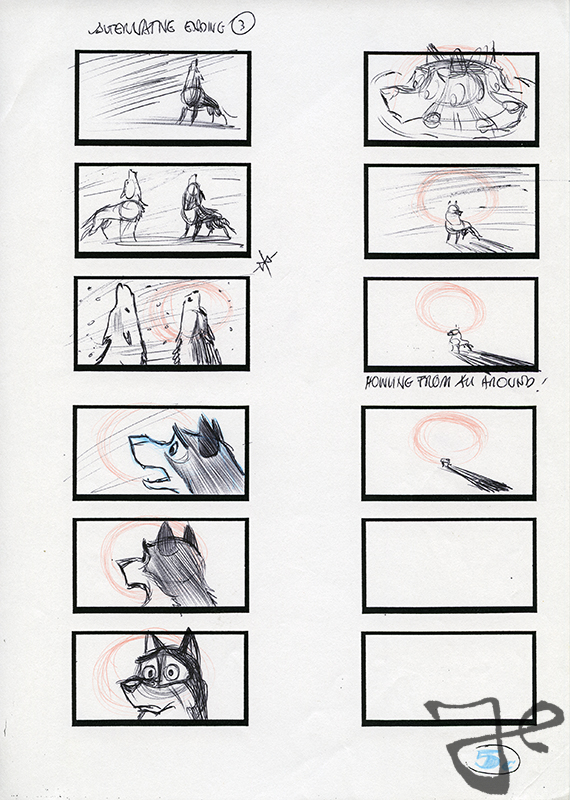 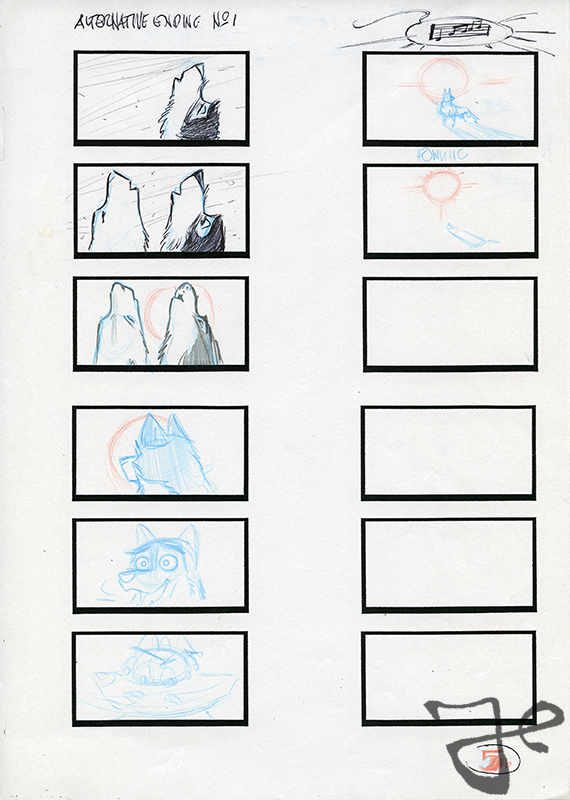 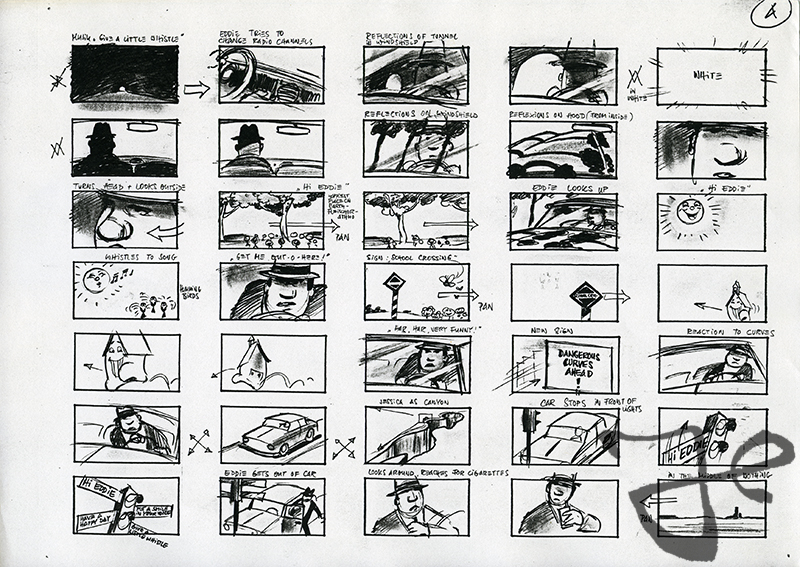 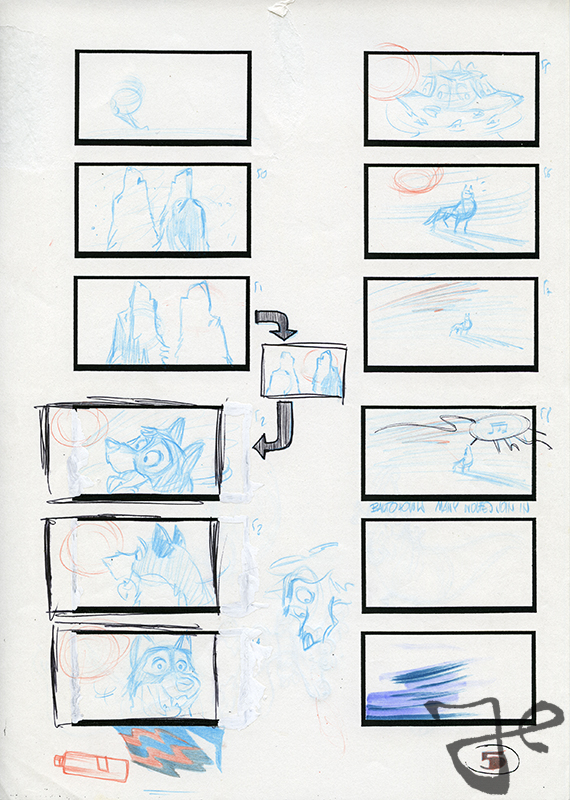 Below are storyboard thumbnails of the scene were Balto meets the white wolf and is resurrected after he had fallen from a high cliff.